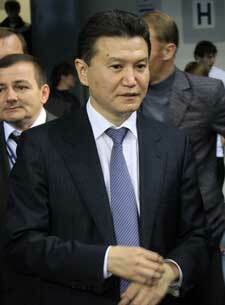 The FIDE Presidential elections in Khanty-Mansiysk resulted in a win for incumbent Kirsan Ilyumzhinov. He will now serve another term from 2010-2014. The vote tally was 95 for Kirsan and 55 for Former World Champion Anatoly Karpov (who the USCF endorsed). Unsurprisingly, the election was not without controversy. You can read more about it on chessvibes.com and the Week in Chess. However, due to the margin, it is not likely that the result will be contested.